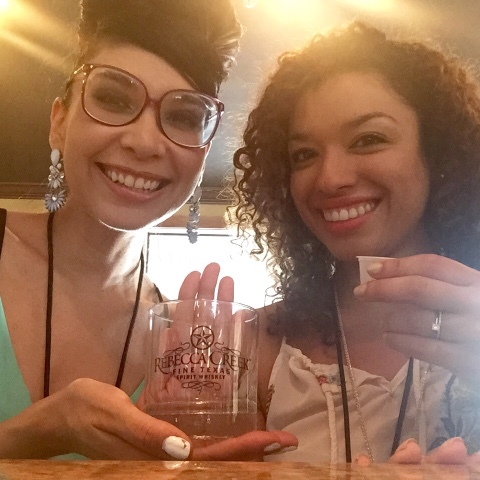 I was recently invited to an exclusive Blogger event at Rebecca Creek Distillery in the San Antonio Hill Country for a Tour and Whiskey Tasting. 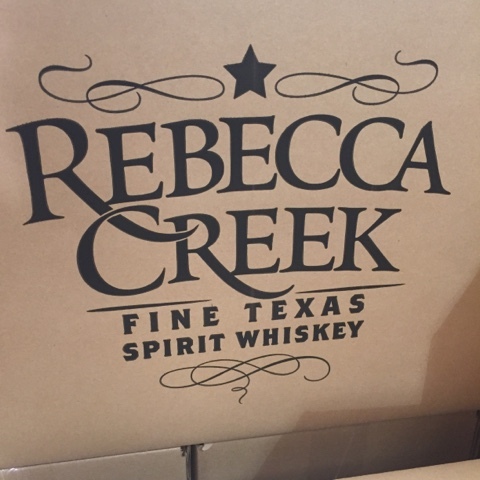 Rebecca Creek is the only whiskey brand to be named after a woman, so I found that extremely refreshing and interesting. 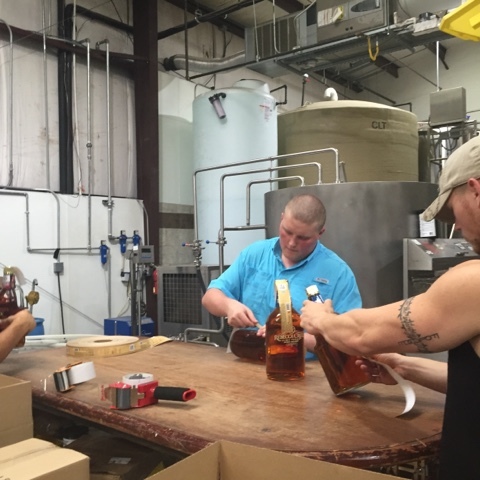 The distillery carries 3 spirits so far, Texas Spirit Whiskey, Enchanted Rock Vodka and their latest addition, Enchanted Rock Peach Vodka. The tour was extremely informative and we learned about the distilling process and the importance of preserving the flavor. I found it particularly interesting to see a small staff applying the labels and boxing it all themselves. 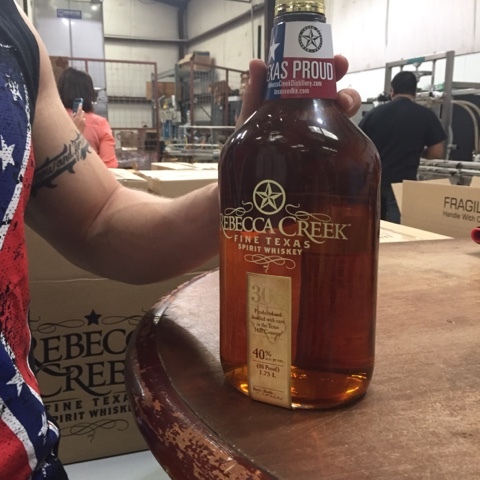 it's a small production, but you can feel the love and pride with which they prepare the craft spirits and that's that Texas pride. 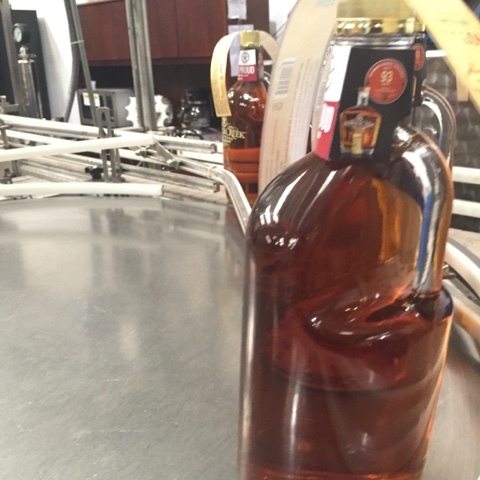 I've always had a preference for single malt Scotch and I had only recently tried bourbon. 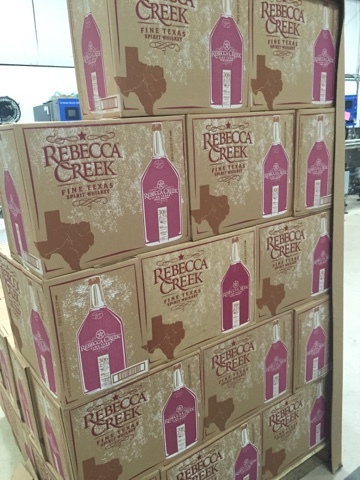 I must say, that Rebecca Creek Whiskey is incredibly smooth and rich with flavor. Absolutely perfect for one of my favorite cocktails, the Old Fashioned. 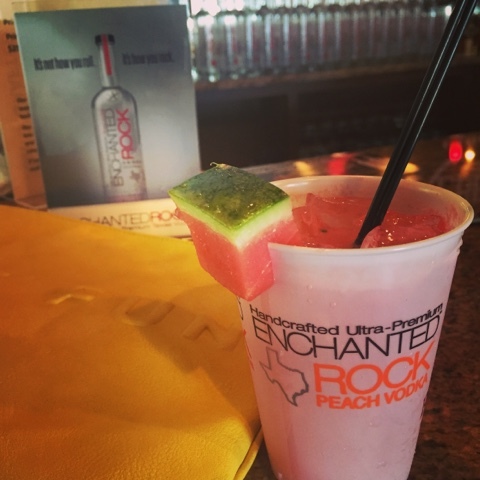 The Enchanted Rock Vodka is unbelievably smooth! Our beautiful bartender is a master mixologist, who created an absolutely delicious cocktail perfect for summer. Muddled strawberries, watermelons, lime juice and other undisclosed ingredients made for the most refreshing flavors where you couldn't taste the vodka but there was definitely some punch to it. The experience was lovely, the staff was friendly and the cocktail were delicious. I brought a bottle of their Peach Vodka and I can't wait to make delicious summer cocktails! Looks like everyone was enjoying the tasting. Congrats! They've won so many prizes already. They have a great product! Sounds like a very informative distillery tour...sounds fun too!! The tour is fabulous. Loved it! 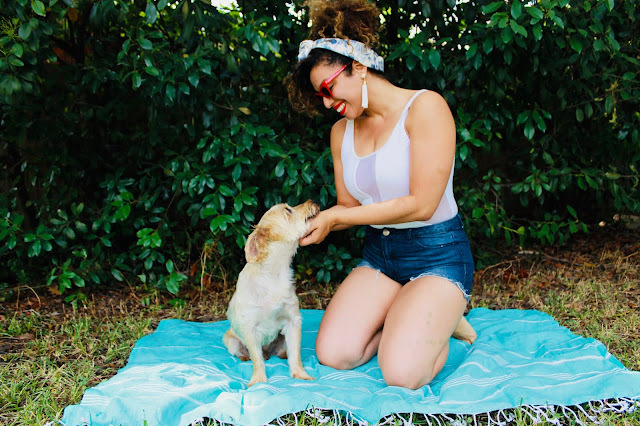 Thanks, Vanessa! Happy 4th of July weekend!